Well, I promise I have a good excuse for the lack of entries lately. Baby Gavyn made his appearance a couple of weeks early at the end of April, and we have been keeping busy adjusting to not only life with a newborn, but life with two little ones! I am happy to report that he is a happy, healthy, well-fed little boy, and his sister Maddy is really enjoying him! 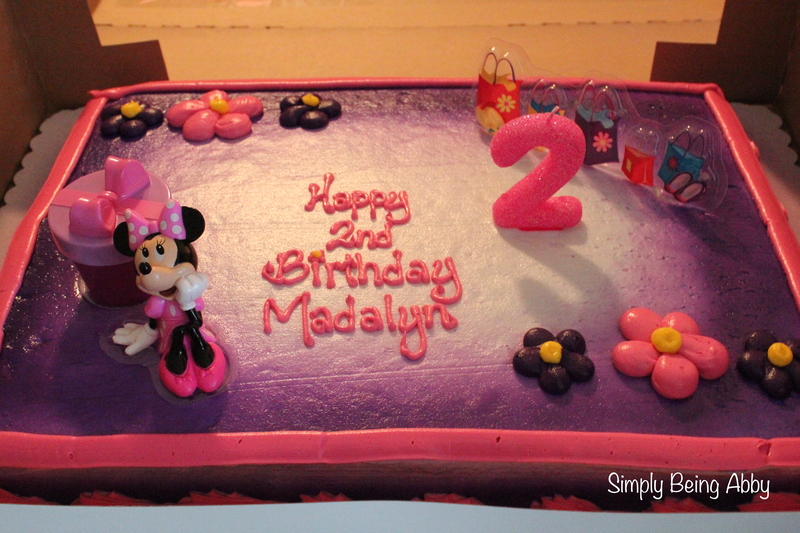 In other news, Madalyn turned TWO (how did that happen?!) a couple of weeks ago and we celebrated her birthday this past weekend. 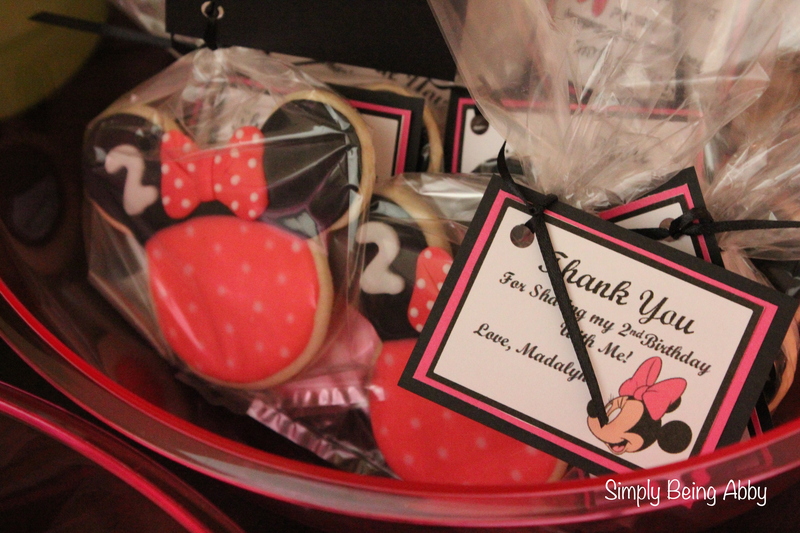 I decided on a Minnie Mouse themed party because Maddy is a big Mickey Mouse Clubhouse fan! I spent a LOT of time planning and making things for Maddy’s first birthday (see her cake, sign, ruffle lanterns, monthly picture posts here), and I knew that I wouldn’t have that time this time around with a newborn by my side. So, I cut back and did just a few little things. The DIY project that I’m going to share here was so fun to do (and easy!). 1) Styrofoam. I made three centerpieces so I had the supplies for three. I used a 6-inch circle for the head and two 3-inch circles for the ears. I also bought a block of Styrofoam to put into the stand to hold the wooden dowel for the head. 2) Black spray paint and black acrylic paint. I used spray paint for the foam BUT it has to be spray paint that is made for craft foam. Regular spray paint melts Styrofoam. This is the paint that I found (at Michaels) and it worked really well. 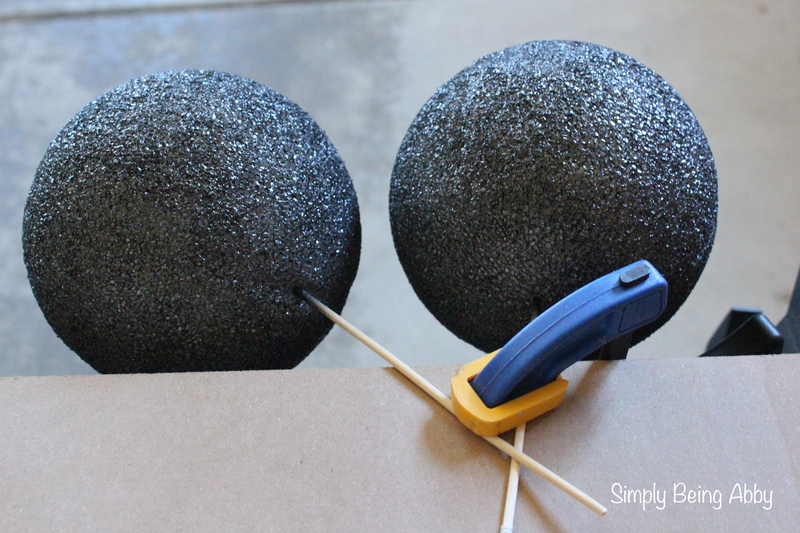 The acrylic paint is used to paint the wooden dowels black. 3) Wooden Dowels. I used 1/8 inch dowels to attach the ears and 1/4 inch dowels to hold the head up. You can cut down the dowels to be the sizes that you need. 4) Some sort of stand and filler. I used little planters I found on sale at Michaels that were perfect for this project. I then filled the pots with pink paper shred, also purchased at Michaels. 5) Ribbon. I used wire edged ribbon because it was easier to shape a bow. 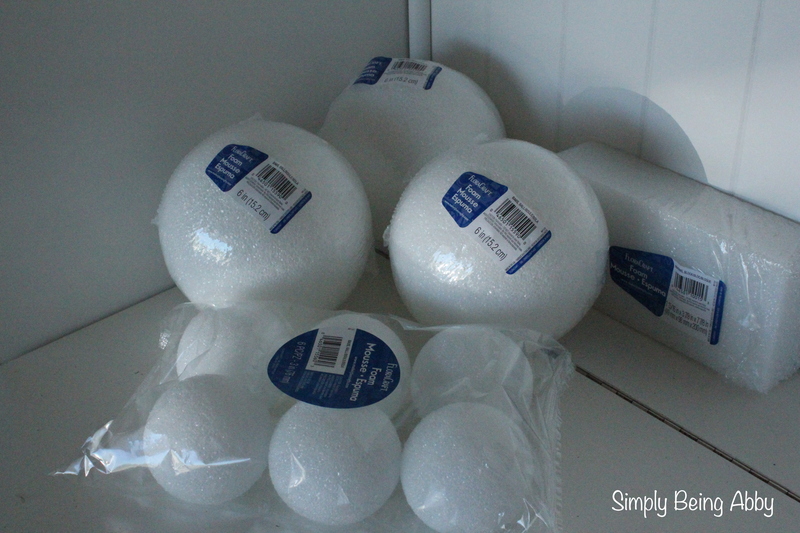 1) Spray paint or paint the Styrofoam circles. I used extra wood from the wooden dowels to hold the ball out so I could spray all around it without having to touch it in the process. Allow to thoroughly dry. I let mine dry for 24 hours. 2) Attach the 1/4 wooden dowel to the larger circle and attach to the foam in the vase/pot you choose to display these in. 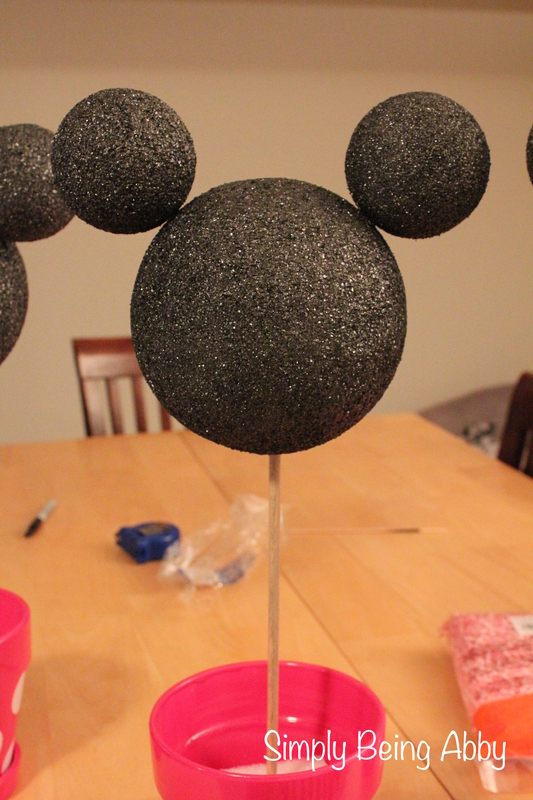 3) Attach the 1/8 inch dowels to the smaller circles and attach as ears to the head. 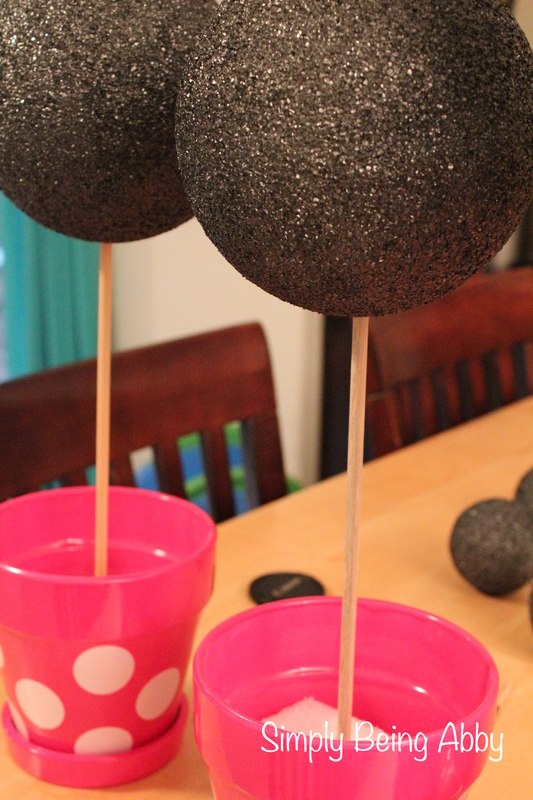 4) Paint the wooden dowels black. 5) Make the bow using the ribbon you have. Rather than recreate all the steps for you, see the tutorial I found here. Her directions are simple and easy to follow. When you have your bow made, use your hot glue gun to attach the bow to the head. 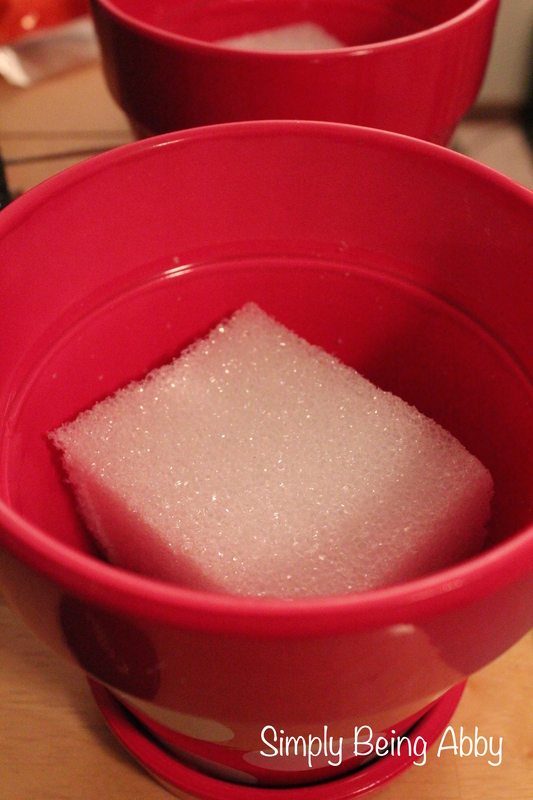 5) Fill your vase with whatever filler you have to hide the Styrofoam base. And you’re done! These were so fun to make, and added just something a little special to the basic decorations! Birthday cake was from WalMart! For the price, I was really pleased and it tasted great! We ordered these from the mom of a friend who makes these cookies as a hobby. We loved them! 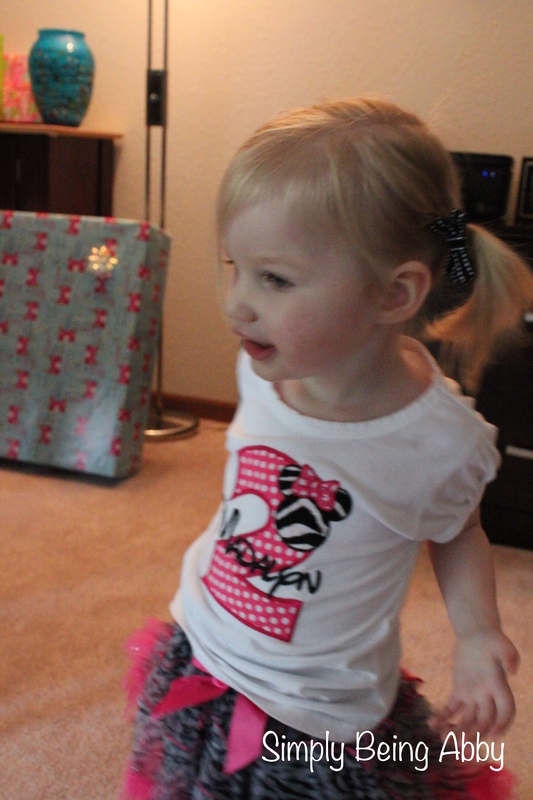 I couldn’t get a clear picture of the birthday girl as she was running around all day! 🙂 But, her shirt is from Etsy and her skirt was from Nordstorm Rack. I love how her shirt turned out! We had a blast at her party and while I can’t believe our little baby girl is two years old already, we are so, so, so blessed to have Madalyn Joy in our lives! Really cool idea love it!! But I wanted to know where did u buy the supplies? Hi Silvia, I bought the styrofoam, spray paint, ribbon, wooden dowels, and even the pots from Michael’s. You could probably find the same items at any local craft store! These are so cute!!!! 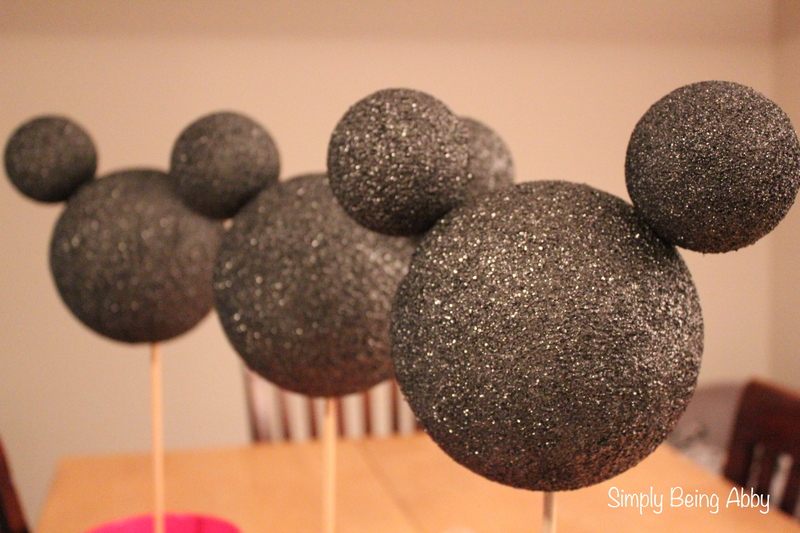 I am so going to make these for my daughter’s 1st birthday party. where did you get the pots? The pots were from Michael’s! Hope you can find something similar! We’re the pots already painted? Where did you find them in the store? Yes, the pots were already painted! I bought them in the spring though, so I am not sure if they will have something similar out right now, as I am guessing they probably don’t have many gardening crafts out! Hope that helps! Hi! 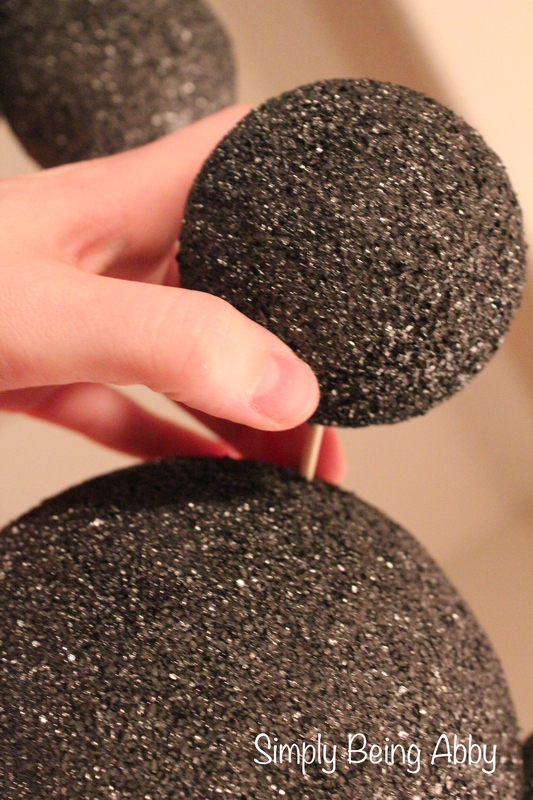 Yes, when I spray painted the styrofoam I did probably three coats to make it look black enough. So, I would definitely try another coat and see if that helps! the link you shared for instruction on making the bow, the woman says 30″ of ribbon. Did you use 30″ of ribbon for each bow? I just want to make sure. I’m making 12 of these. Hi! I would see if you can find another tutorial online — the one I had linked was super helpful, and I couldn’t recreate it for you quickly! Sorry if that isn’t much help, but I’m positive you can find a ton of tutorials online that would help you with the bow. Hi! I used styrofoam and made sure the dowel was all the way into it and did not have any problems! In fact, they are still standing almost a year later 🙂 So, as long as the dowel is supported enough, it would hold just fine. I’m sorry yours didn’t stay put! 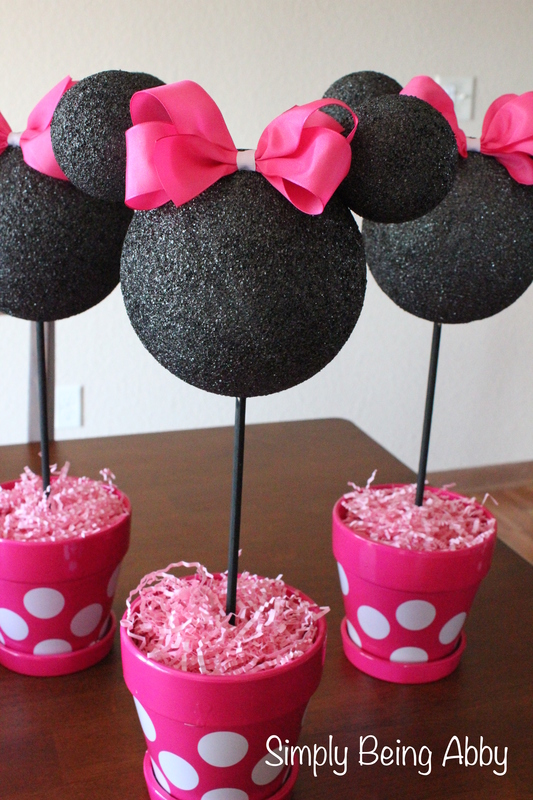 I seen these a they are a must for my daughters party I’m just wondering what size pots you used. Hi! The pots I used were little flower pots. I don’t have the exact dimensions. Just make sure to use something that isn’t huge but will support the base for the head! Hope your party is a blast! Good day… I am trying yo tackle this adorable project for my daughters birthday. I have been advised not to yse the spray paint even the ones that indicate can be used on styrofoam. I really don’t want yo hand paint. Can you please advise your experience with the spray paint? Hi! 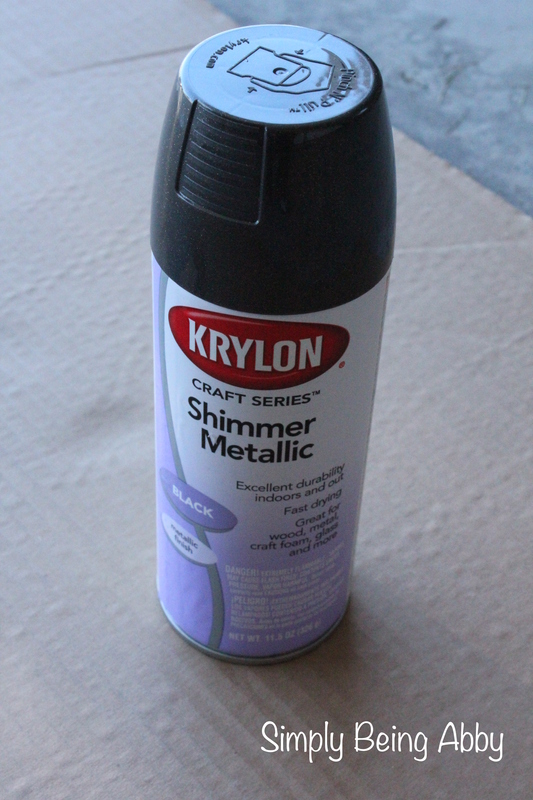 If you use the spray paint that I show in this post, I don’t see why you would have a problem! I had no issues and it was way faster than hand painting. Thank you. I had it in my cart at michael a and they said if would eat the foam as it was a spray. Then went to Joanns and was told the same thing. 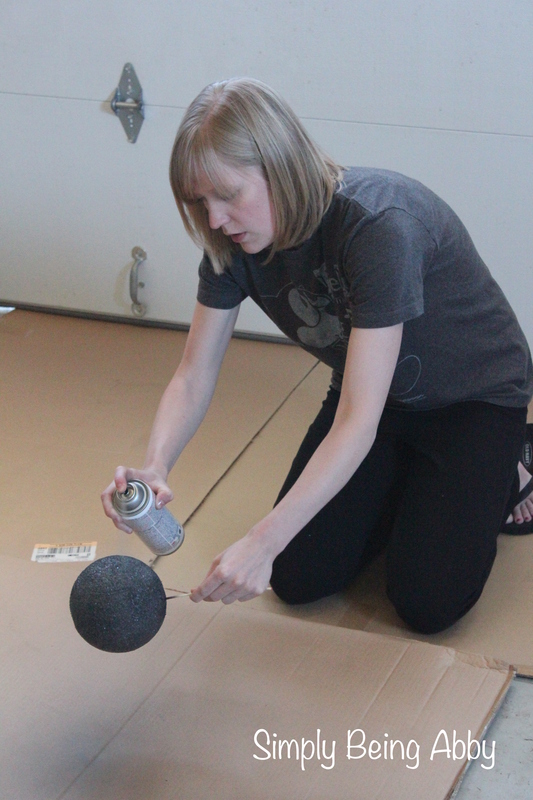 If you are using a spray paint that says it’s okay for craft foam, it shouldn’t matter! Have fun with your party plans! Were did you buy the polka dot pots? Hi! The pots were from Michaels. The pots were small, but definitely bigger than 2.5 inches in width! I don’t have them anymore, so I can’t measure them! For attaching the bow, I have a mini glue gun. I’m guessing it warms the glue so will that melt the foam? No, it shouldn’t! Especially if you are using a mini glue gun–those don’t get as hot! Just wanted to say thanks to your cute and easy ideas for a party I’ll be using some of them. They are adorable. My daughter Avery is going to be 1 in march and I want to make it special for her,again thank u…I love this website :). Thank you! I hope your daughter’s party is wonderful! Yes! I bought mine at Michael’s. 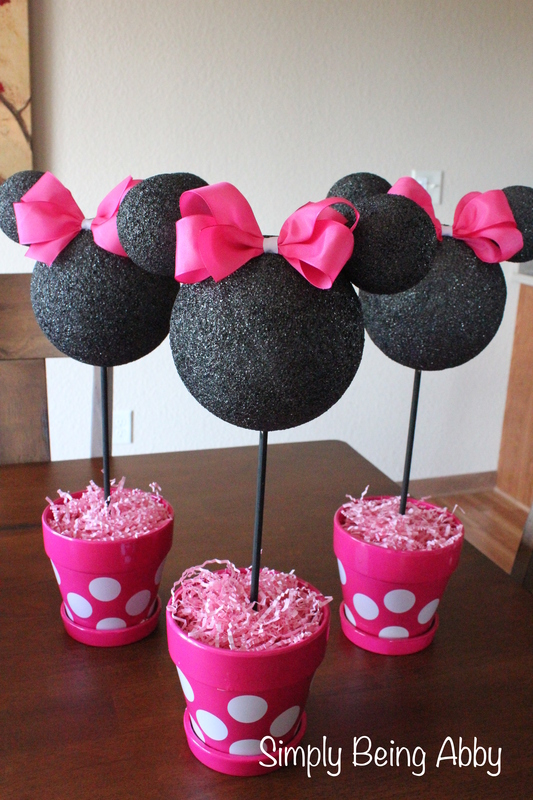 I’m trying to make center pieces with all the supplies shown here but I’m having trouble with the Minnie head staying up and steady what can I do?!?! Please help! Hi! Are you using the right size dowels to the support the head and styrofoam in the base? I didn’t have any issues with them moving at all when they were all put together, so I’m not sure what the problem would be! Thanks so much for sharing this! I’m certainly doing it to my daughter’s party! I just need to find the spray. Not sure if it’s easy to find it in Brazil, but I’ll definitely try! Thanks! Xoxo, Bea. Super excited about planning my Madalyn’s first birthday party! These should be super cute if I can pull them off! Thanks! I love this idea. 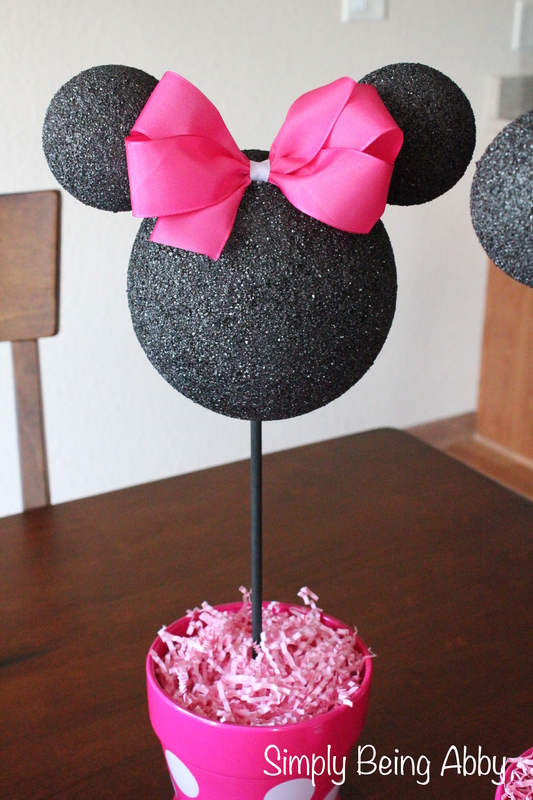 I’ve been searching everywhere for Minnie Mouse center pieces. How exactly did you get the pots pink? I actually got lucky and found the pots just like that, with the polka dots. But, I bet you could use a round sponge or something and get a similar effect using white paint on a pink pot! How did you do the polkadots? How did you paint the pots? I bought them as is from Michael’s. Do you happen to remember how many inches long the dowel is that connects the head to the pot? Sorry, I don’t remember exactly! I just eyed it and decided about what I thought looked good.